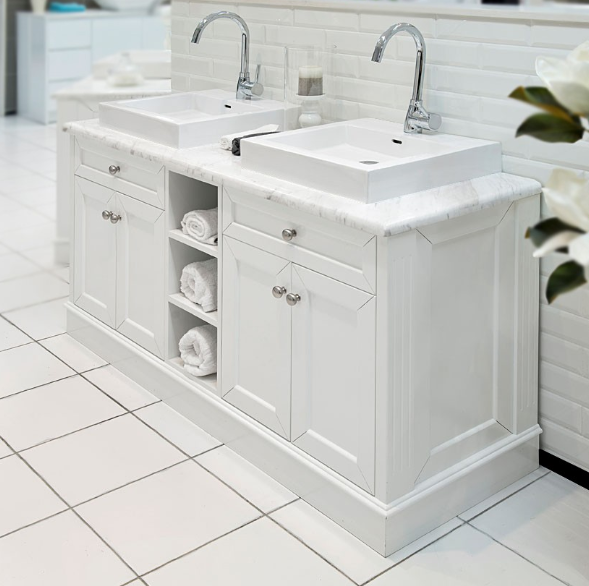 How to Install a Bathroom Vanity – Our bathrooms are sometimes neglected because we concentrate on the areas of the house that people see when they first enter. We spend time meticulously decorating our living rooms and dining rooms to make a good first impression, but when someone walks into your bathroom, a tired looking vanity can make your entire decor look dated, no matter how pretty the shower curtain. 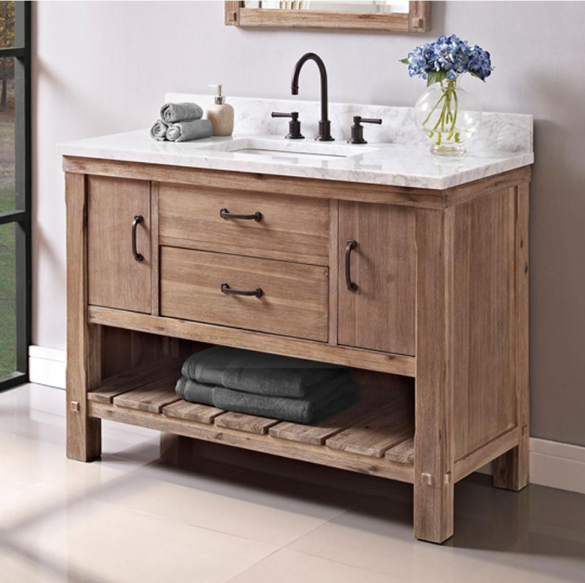 Fortunately, it’s not difficult to switch out the old vanity with a new one to update your bathroom’s look. 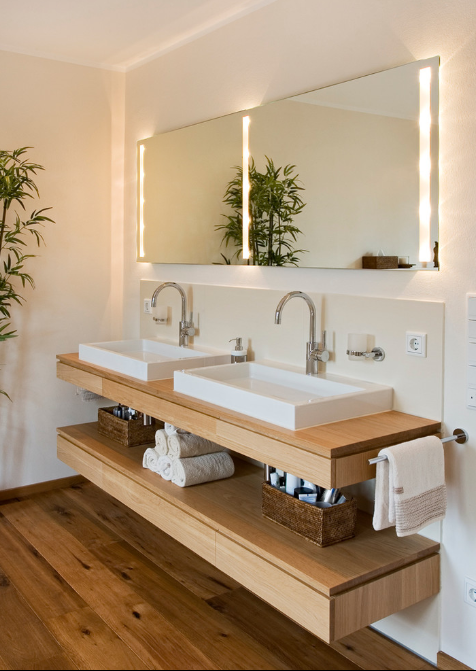 First, check around the vanity to see if it has baseboards or floor trim attached. If so, use a hammer and chisel to gently pry the trim off and set it aside. 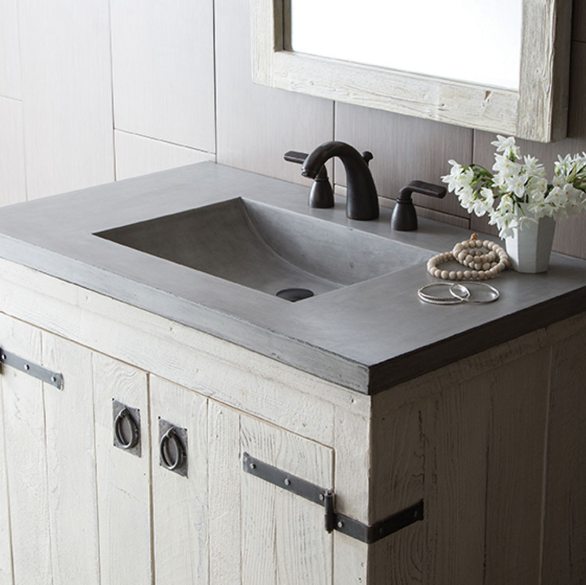 Also, cut away any sealant or caulk that was used to attach the vanity to the wall and floor. Run a utility knife along the bead, and then pull it away from the wall. Next, place a bucket beneath the water valves inside the vanity and disconnect them using an adjustable wrench. Turn the faucet on to release any pressure that has built up, and allow the water to drain in the bucket. After it has finished draining, set the bucket aside. Use a pencil to trace around the bottom of the old vanity. This will help you to line up the new one correctly. After tracing, remove the screws that were used to mount the vanity. Then, have a friend help you lift the old fixture and remove it from the bathroom. Before bringing the new vanity in for installation, measure the distance from the top of the vanity space to the pipes below, and then transfer the marks and cut holes in the back of the new vanity with a hole saw. 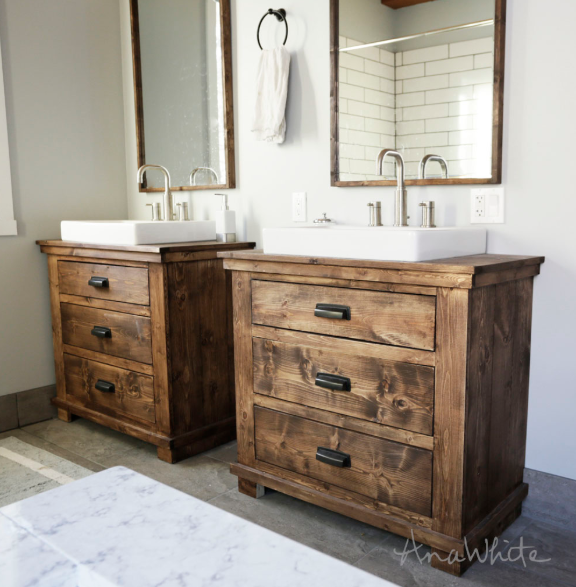 Remove the doors from the vanity to make it easier to install, and then bring it into the bathroom and line it up with the pencil marks you made previously. Use a level to check the vanity both horizontally and vertically, and place shims to correct an unevenness. Use your drill to attach the vanity to the wall, placing a screw about every three inches across the back. Then, apply silicone caulk along the back splash and down the sides, smoothing the caulk with a wet finger. Be sure to use silicone caulk because it’s waterproof and will prevent damage that will occur should moisture accumulate between the vanity and the wall. 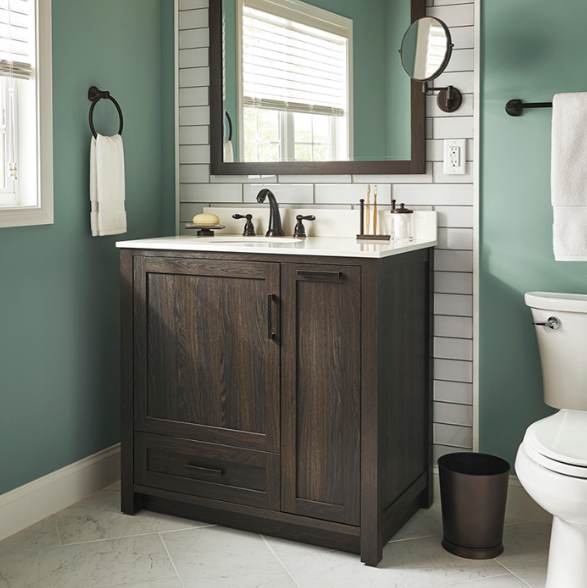 Connect your existing water lines to the new vanity and sink, and turn the valves on. Place a bucket under the water lines just in case and turn on the water to test that everything is working. Check specifically for any leaks before finishing up. After you are satisfied that everything is working properly, screw the vanity doors back on. Either reattach the existing trim and baseboards at this time or add new trim to match the updated decor. Since your new vanity may not match the dimensions of your old one, you might have to adjust the length of the trim to the right size. Always measure twice to be sure your new dimensions are accurate before cutting off the excess with a circular saw. Nail your baseboards to the vanity, and then use the wood caulk to fill in the nail holes and to cover the seams. Smooth the caulk once more with a wet finger or damp sponge for a professional finish.